October is the month folks start swooning over the mention of Cucurbita pepo—that is, pumpkin. Do you stalk the stores and coffee shops waiting for your favorite pumpkin flavor to come in stock? Do you find yourself pinning your Pinterest boards with pumpkin recipes for everything from bread to pie and from soup to lattes? Then maybe you’d like to know how to harvest your own pumpkin puree to use in those recipes. Not only is homegrown and harvested pumpkin tastier than the canned variety you find at the grocer’s, the job of getting to it can be a fun family activity. While extremely nutritious—with 245 percent of your daily value for vitamin A—pumpkins aren’t just for eating. Native Americans used them to treat intestinal parasites and urinary problems. And folks worldwide use the seeds, which are high in zinc, to treat acne and prostate inflammation. Wash the fruit and remove the stem. Place it in the oven on a cookie sheet, centered from top to bottom. Bake at 325 degrees until you can insert a fork through the skin—about an hour, depending on the size of the pumpkin. When ready, remove from the oven and allow to cool enough to handle. Cut the pumpkin in half and remove the seeds and pulp. Peel the skin from the flesh. Compost the skins and cut the pumpkin meat into chunks. You may save the seeds for snacking, later. Place the pumpkin chunks in a thick-bottomed stock pot with a few inches of water. Simmer until all the water is gone and the volume is about half. Stir frequently to prevent scorching. Canning pumpkin requires a pressure canner. You also have to fill the jars, forcing you to can it in half-pints, pints, or quarts. 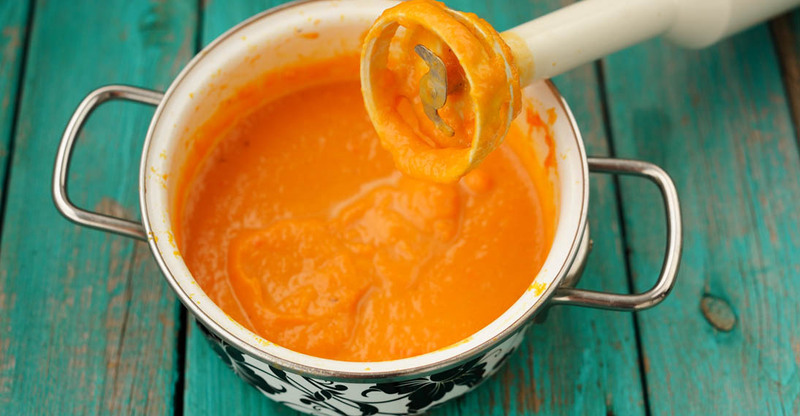 However, you can freeze your puree in the right quantities for your favorite recipes—like that pumpkin-spice latte that only requires two tablespoons of pumpkin puree. Frozen pumpkin will stay fresh in the freezer for six to eight months. But, no matter how you preserve it, you can use home-harvested pumpkin puree just as you would store-bought canned pumpkin in pies, muffins, cakes, cookies,— and soups. 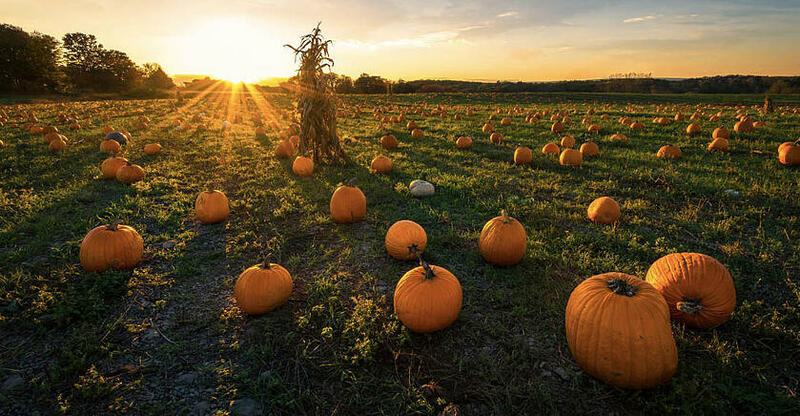 Whether you grow your own pumpkins, buy them from a grocer, or visit a local pumpkin patch, harvesting your own pumpkin puree is worth it. And if the weather hasn’t cooled yet, turn down the A/C, don a sweater, and dream of fall.